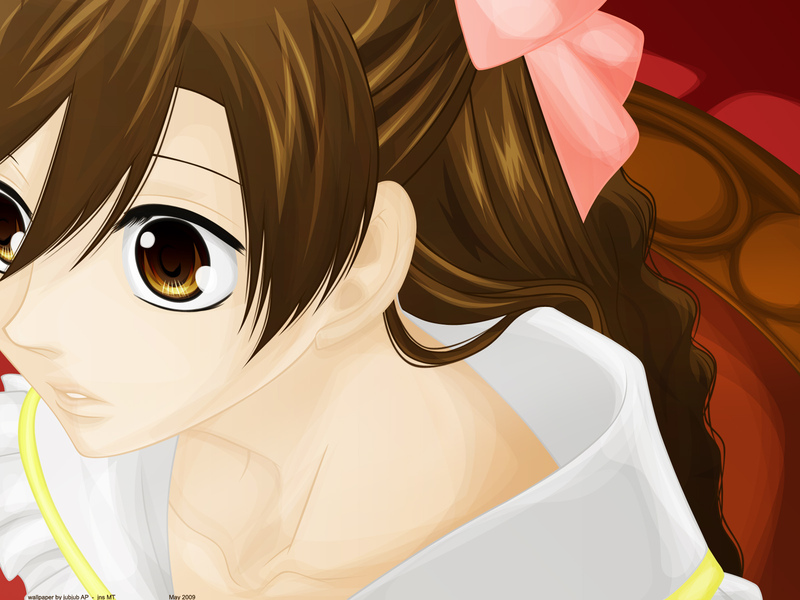 I vectored this sceenshot of Haruhi just because her expression was really pretty. Saw this on AP, thought it was beautiful. it kinda looked like she had no features for awhile until full view. vectoring the image and making it look so elegant and clean. its totally pretty, you vectored that screenshot very nicely....her skin, eyes & hair looks wonderful! This one is so beautiful^^ The vectoring is definetely great and the hair is awsome! the hair is my most favorite.. XD ! but at all.. i really love your style XD ! Great job! I like the colors and the pose! I love how you colored it though. It's beautiful. It looks like a painting. BIG LUVVVVVVV! to this wallpaper . Beautiful Soft colour making Haruhi more girlish than ever. Love your art..you did it so Fabulously.thanks n keep it up!